Top 150 law firm, Stephensons, has chosen Disaster Recovery as a Service and Managed Support from Converge Technology Specialists, the only cloud computing provider dedicated to UK law firms. Stephensons is an award-winning top 150 law firm, with over 450 staff based in offices across the country. 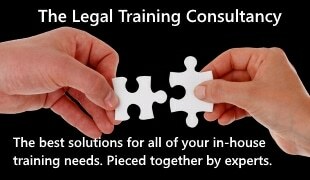 The full-service firm provides legal services to individuals, businesses and government organisations alike. The Disaster Recovery as a Service and 24×7 Managed Support delivered by Converge Technology Specialists (Converge TS) will provide the Lexcel accredited firm with enterprise class business resiliency in the event of a disaster, daily 24×7 technical support to drive continual improvements in their use of IT and strategic guidance to enable the firm to marry its IT strategy with the overall business strategy. Converge TS will provide Stephensons with a complete standby business continuity environment, which in the event of a disaster, minor or major, can be used by the firm, enabling it to continue providing quality service to its clients. Fully managed support and proactive monitoring will ensure the effective management, maintenance and support of all servers and applications deployed within the Stephensons network. Finally, the Managed Support service also includes regular strategic reviews which are aimed at helping the firm define, plan and deliver an IT strategy to compliment the firm’s strategic objectives. Luke Axon, Head of IT at Stephensons, explained: “We work alongside our clients and continuously improve our services to meet their needs, this includes a 24-hour helpline and many online innovations. It is essential that we provide a seamless service to clients and this means that our systems need to be available to our teams at all times and under any circumstances. By supplementing our existing business continuity planning with Disaster Recovery as a Service and Managed Support from Converge TS, we will be further protecting our systems, and the information and assets which are entrusted to us by our clients. “Converge TS has worked closely with us to provide a future roadmap for our IT development, which fully supports our business objectives. As we transition to LexisNexis Visualfiles, it is reassuring to know that we are working with a partner who fully understands the demands of our technology and business as well as having extensive knowledge of our legal applications”. Nigel Wright, Founder and Managing Director of Converge TS, said “We’re delighted to be working with Stephensons Solicitors and providing them with Disaster Recovery as a Service and Managed Support. We pride ourselves in the fact that we are not just delivering services but helping our clients maximise their use of technology to drive productivity and profitability. We achieve this by taking a strategic view of their business needs and then tailor our services to help them achieve those objectives. “It is essential that all firms safeguard their operations and make sure that they can continue to deliver a high level of service to their clients, particularly with the increasing threat of cyber-crime and other activities which can potentially cause disruption and delays to service delivery”.